Jones, Skelton & Hochuli Attorneys Chelsey Golightly and Bill Holm Obtain Defense Verdict In Wrongful Death Case | Jones, Skelton & Hochuli, P.L.C. Andrew Dumbrell and Beth Fay v. Jordan Hanson and Michael and Annette Hanson – Jones, Skelton & Hochuli attorneys Chelsey Golightly and Bill Holm recently obtained a defense verdict after a seven-day jury trial in Maricopa County Superior Court. On September 5, 2015, Michael and Annette Hanson’s 21-year-old son, Jordan Hanson, had people over at the Hansons’ residence after attending a party at another friend’s house. Some of the friends were invited to the home by Jordan, while others were not. Michael and Annette were on vacation in Montana at the time. While at the Hansons’ residence, an altercation occurred and one of Jordan’s friends was shot and killed. Jordan was subsequently convicted of second-degree murder and sentenced to serve 12 years in prison. Jordan argued self-defense and is currently appealing his criminal conviction. After Jordan was charged, the parents of the decedent (“Plaintiffs”) filed a lawsuit against Jordan and his parents for wrongful death. Michael and Annette Hanson were sued under the theory that as property owners they were legally obligated to control the conduct of their 21-year-old son. The defense argued that because Jordan Hanson was an adult, owned the firearm used in the shooting, and Michael and Annette Hanson (the property owners) were 1,300 miles away, they were not liable for Jordan’s decisions or the accidental shooting. At trial, Plaintiffs argued grief, the loss of love and affection from their son, and pain and suffering experienced in the past and expected in the future. Plaintiffs suggested that $10-$20 million in compensatory damages was fair given the reckless conduct of Jordan Hanson and the strong bond that the Plaintiffs had with their son. They further asked the jury to send a message to punish Jordan for his reckless conduct and to deter similar conduct in the future. Plaintiffs suggested $20-$40 million in punitive damages would be appropriate under the circumstances. Because the Court had ruled prior to trial that Jordan Hanson was liable to the Plaintiffs, the jury was instructed to determine compensatory and punitive damages against him. Michael and Annette Hanson argued they were not at fault and requested a verdict in their favor. In closing arguments, counsel for Jordan Hanson suggested $300,000 – $500,000 in compensatory damages was appropriate, and no punitive damages, because Jordan is already serving 12 years in prison as punishment. After four hours of deliberations, the jury found in favor of Jordan’s parents, Defendants Michael and Annette Hanson, and returned a defense verdict. The jury found Jordan Hanson 100% at fault and awarded Plaintiffs compensatory damages in the amount of $1,554,500 and punitive damages of $550,000 against Jordan Hanson. 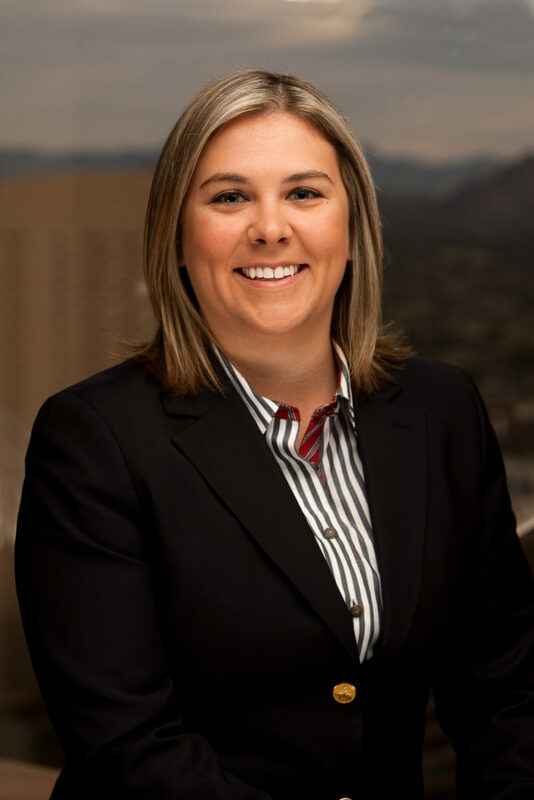 Chelsey Golightly practices general civil litigation and insurance defense with a focus on premises liability and wrongful death and catastrophic personal injury defense. 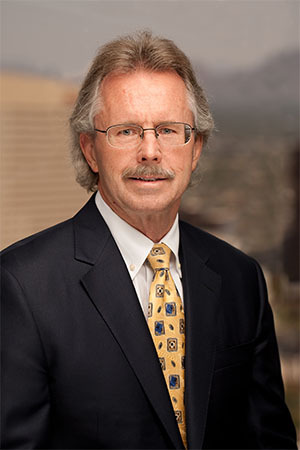 Bill Holm practices in the areas of commercial litigation, general civil litigation and insurance defense, premises liability and wrongful death and personal injury defense.